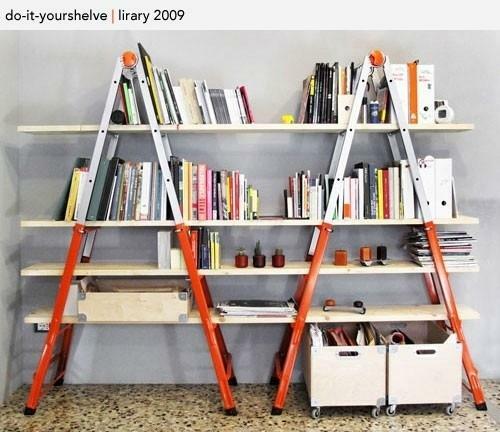 How To Make A Bookshelf Out Of A Ladder And Wood Planks! and VOILA! Fun, easy, and cool bookshelf. Great for offices or other quirky spaces. * You can also spray paint the ladders to make them any fun color you would like.